Our flood water extraction service is first rate. We only use state-of-the-art equipment and techniques to get the flood water out – now! 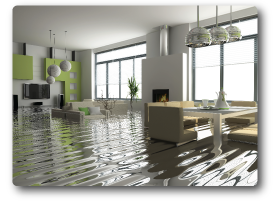 Serious water damage, such as with a flood, requires serious attention to ensure that not only is all of the flood water extracted, but also that all of wet areas are dried completely and treated quickly to minimize lasting water damage effects. If the flood water extraction is not performed quickly, the water damages to your property could become very severe! Don’t delay! Time is of the essence! DryMaster has technicians in your neighborhood – give us a call today. Do not Operate TVs, vacuums or other appliances while standing on wet carpet or floors, especially not on wet concrete floors. Serious injury may result. Do not Use heat to dry wet structural interiors; mildew and expanded moisture damage may result.